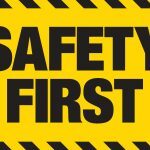 Ensuring safety is always important while using any kind of electronic device in order to make the best use of it. A spotting scope is a susceptible electronic device, and so, safety issues are much carefully met while handling it. If you are a new range user, you must go through some instruction to assure the maximum security of the scope as well as achieving its best performance. Here, I picked up all the necessary guideline that may help you Safely Use Spotting Scope. 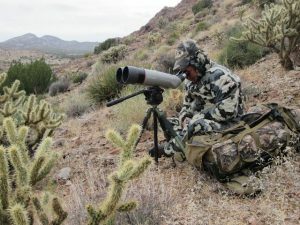 Whenever you want to use your spotting scope for seeing anything very accurately, you need to bring the scope to the place you want to set it. In that case, you must consider all the necessary facts to ensure its maximum safely. Hold it carefully while bringing it to any distant place. If you need to make a journey with the scope, you must not keep it in the car directly. Try to hold it in your lap. Always attach the belt to your shoulder while carrying the scope to the seaside or high hill. When you have decided to see any object with your spotting scope, you should select a safe place to stand and capture your target. High magnification scopes are hard to hold in hand. Besides, a handheld scope cannot provide the best image of the target object because, in that case, some sudden movements may arise. So, keep the scope on its tripod to maximize the possibility of capturing the brightest image. Follow the next instruction for making a better placement of your spotting scope. Safely release the instrument platform of the tripod. For that, make a clockwise rotation of platform and then pull it out. Make sure that, you are pulling the back of platform first and then its front. Fix the platform adapter block with the screw. Now, rotate the platform lock clockwise and slide its front end first and then the back. Tighten the platform lock counter-clockwise as long as it lacks to touch the tripod head. Move the adjustment knob of the tripod to very slowly. If you move the knob rapidly, you will fail to capture your target precisely. A slow and careful movement can help you point your object. Once you have indicated your target, you can adjust your knob to get the expected quality image. The objective lens, focuser, accessories are covered with some protective tools to keep them safe from external harm. These covers are very light and easy to remove. While you have successfully placed the scope on the tripod and configured it, you need to release all the protective covers carefully. Keep the sheets in a bag to protect them from being lost or harmed. It is essential to be careful while attaching the standard accessories of the spotting scope. You must follow the following steps to do this job perfectly. Remove the protective cover of the focuser. Slide the chrome barrel. For that, loosen the thumbscrew of the focuser. Finderscope is an essential part of a spotting scope helping you to locate your object entirely. Attaching the finder scope is very easy and can be done in a few steps. For that, you just have to attach the finderscope and insert the object lens at the end of the finder. Carefully tighten all the necessary screws. Now you have to align the finderscope to see the object view clearly. You can quickly align the finderscope by pointing your target and center it in the eyepiece. For using a wide view spotting scope visually, you have to rotate the focus know until you find a clear view of the object. The attachment procedure of a camera is very easy and simple. You need to be careful enough while doing this task. Carefully remove all the available visual accessories. Keep your hand at the end of the eyepiece holder to fit the T-Ring onto the T-adapter. Now, now fix the camera position on the T-Ring. Focusing is the fundamental task of a spotting scope. F you fail to focus your target clearly, you spotting scopes will fail to provide you with a clear image of your target. For focusing your target perfectly, you have to carefully follow some rules. Rotate the focuser screw until you get a clear image. Do not try to focus your target without keeping the scope in a stable position. Avoid looking through the glasses. It may hamper you see the sharpen image. Do not look for any objects that spread heat waves. Avoid seeing any objects through the fog or mist. Do not directly look at the sun. It is very normal that your camera will vibrate and obstacle you find a crystal clear image of your target object if you do not carefully take steps to reduce the vibration of the camera. Use a suitable cable to keep your hand clear and steady while capturing a target image. A magnification power plays a vital behind capturing a clear image. 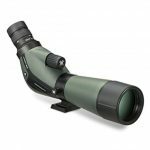 You can quickly enhance the magnification power of your spotting scope. For that, you need to accurately change the eyepiece necessarily. You can do that easily by following the next formula. It is essential to understand the field of view to capture the correct size image of the target object. You can easily determine the field of view by using the following formula. You may sometimes face some difficulties with the dust on the scope. You must be careful while cleaning the scope lens and other parts. You may use some spray to clean the lens.